San Juan, Puerto Rico- Puerto Rico FC announces the return of five regulars from the 2016 starting XI as well as a young prospect. After 10 matches in the 2016 fall season Trevor Spangenberg was given the chance to start against FC Edmonton on the road and he, along with his defensive partners, kept the league leaders scoreless. After a spectacular performance against Miami FC the job was his to keep. His performance towards the end of the season led to his option being picked up by the Club. The 25-year-old keeper had a goals allowed average of 1.2 and five shut outs in 12 stars. Also returning are defensive stalwarts Rudy Dawson, Cristiano Dias, Ramón Soria, Kyle Culbertson , and young goalkeeper Austin Pack. Dawson was second on the team in clearances and fourth in minutes. He showed his versatility playing at right back and center back. The 26-year-old Costa Rican has played at the top levels of Central American football, experience that will be key in PRFC’s fi rst full season. Dias is entering his 11th season in the NASL and was PRFC’s first ever team captain, starting 21 games. He is an exemplary leader who led the team in clearances and added a goal from the penalty spot in the Luis Villarejo Cup semifinals. Ramón Soria led the team in total passes and had the game winning assist in the season closing match against the Railhawks. The 27-year-old Spaniard played at right back, center back and defensive midfield, excelling at pushing the ball forward once the defense won possession back. He was a stabilizing force for the PRFC Defense all season. Culbertson started the last 10 matches of the 2016 fall season, his first as a professional. He had one goal and three assists, one of them the first in Puerto Rico FC history. Pack is a fan favorite and much is expected of him in 2017 and in the future. With a full preseason and a busy schedule this year it is expected that Austin will see the field and be an important contributor to PRFC. 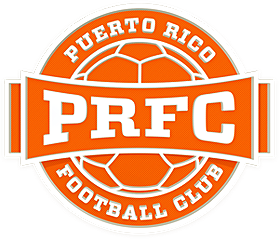 PRFC’s 2017 season kicks-off March,25th at Juan Ramón Loubriel Stadium. Get your season tickets now and be a part of Puerto Rico FC. Our season ticket holders get access to exclusive events with players, discounts on the team store and much more. Call 787-722-PRFC to learn more about this amazing benefits or visit puertoricofc.com/tickets.